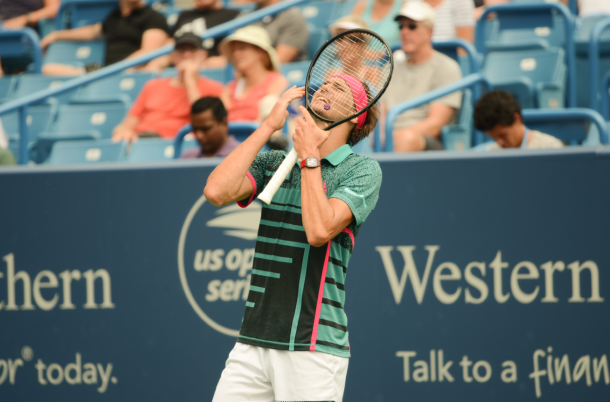 The German's losing stretch in Cincinnati continues as he falls in a topsy-turvy encounter with Robin Haase. Robin Haase compounded Alexander Zverev’s misery at the Western and Southern Open as he extended the German’s winless run in the American midwest with a 5-7, 6-4, 7-5 victory in the second round. The world number four has now lost his previous two encounters against the Dutchman, who added the scalp of the 21-year-old to victories over Kei Nishikori and Denis Shapovalov at the Rogers Cup last week. Zverev will head to Flushing Meadows in two weeks having been dumped out in Cincinnati at the same stage as he did last year, as his toils in Ohio continue. Neither player controlled the match, as they traded a total of 13 breaks of serve, but it was Haase who showed the greater composure at the tail-end of the third set. The German double-faulted to present the world number 55 with the opportunity to serve out the match, but he was handed a lifeline when Haase found himself having to save two break back points. He duly did so with a couple of blistering forehand winners that Zverev was hapless to defend against. Five of those breaks were exchanged in the opening set as both players struggled to gain a foothold. Zverev overreached on a forehand on break point in the first game of the afternoon but he was gifted the break as he aired his frustration to the umpire about perceived gamesmanship from the German. Haase was adamant Zverev was using underhand tactics to break his service rhythm and his anger boiled over as the German broke for a 3-1 advantage with the Dutchman slamming his racket against the ground. Zverev, however, was hesitant and the set was back on serve soon after, although a love hold for 6-5 from the German seemed to plant a seed of doubt into the mind of the Dutchman. Bizzarely, he was broken to love as Zverev grabbed the opening frame when a tie-break seemed inevitable. Yet Zverev was struggling to find the court to open set two as Haase intelligently targeted the forehand of the German with off-speed groundstrokes and he raced out into a 4-0 buffer. The 21-year-old salvaged one of the breaks but it was too little too late as a third set was forced after an hour and 23 minutes of action. Zverev’s ragged afternoon continued as he was broke in the first game of the deciding set and Haase had steadied himself, fending off a break point opportunity in the sixth game to keep the German at arms length. The following service game is where the Dutchman yielded, digging a 0-40 hole for himself before Zverev converted the third of those opportunities with a smart overhead. He consolidated with a hold to 15 but – playing with a fresh pair of shoes after complaining of perspiration – he suffered a similar mental lapse to the one he experienced in Toronto last week in his quarterfinal against Stefanos Tsitsipas: an untimely doublefault. 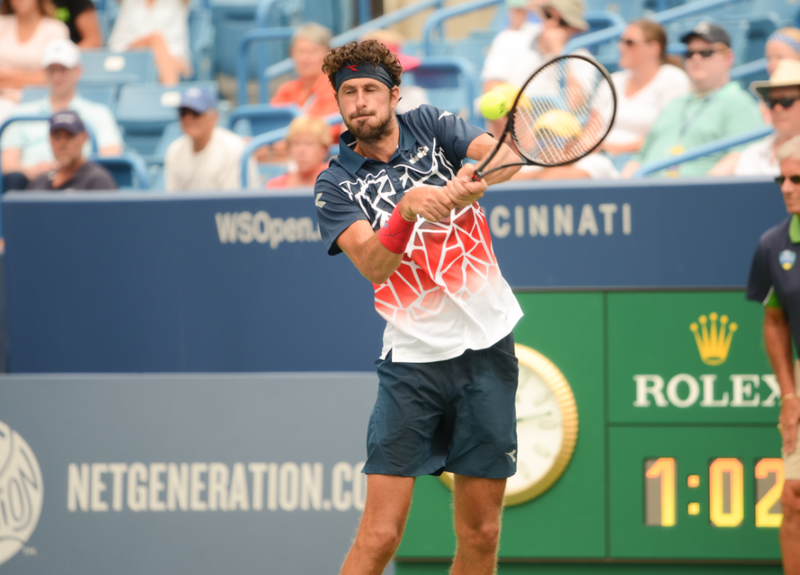 Zverev did, however, have chances to restore parity with Haase channeled his inner showman, blasting a pair of forehand winners fitting of a passage to the third round in Cincinnati.